Prizes from San Francisco Raw Feeders (SFRAW), WHO LET THE DOGS OUT, Wildebeest & more tba! All attendees are encouraged to bring their dogs, & better yet bring them in costume! 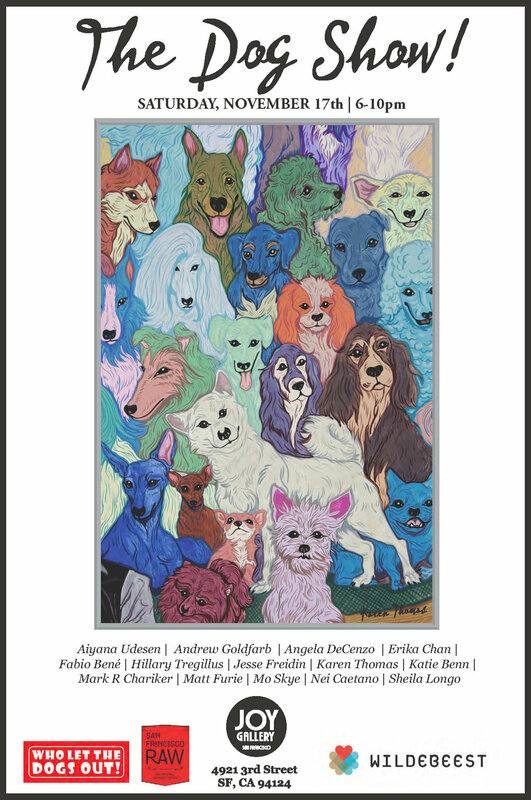 DOG CARICATURES by Erika Chan 7-9pm $25 Each! DOG Contests will be judged by YOU. Everyone at the reception will be able to place a vote on their favorite dogs in attendance. WINNERS will be announced at 9pm!! !